Is There Really Such A Thing As Golfer’s Elbow? 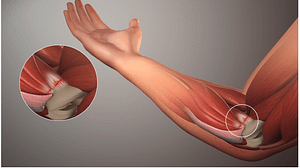 Golfer’s elbow develops when impact swinging motions (i.e. hitting a golf ball or nail) are repeated over and over. Because the strong muscles and tendons of the forearm—that insert on the medial (middle) part of the elbow—are flexed throughout a swing, they experience a tremendous amount force upon impact. 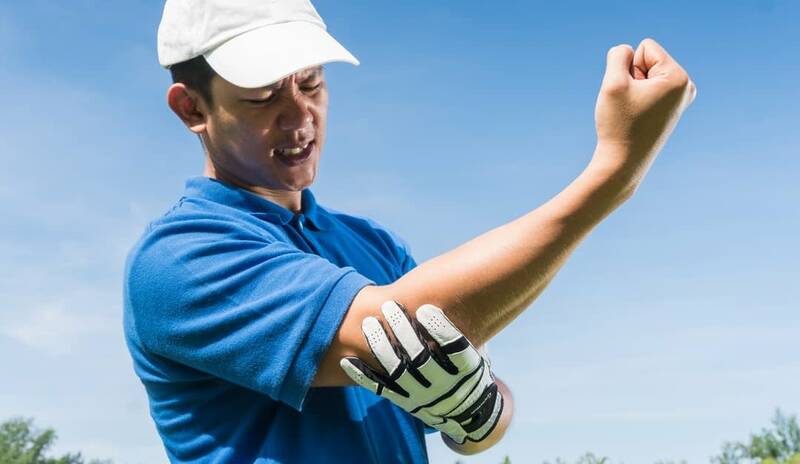 When the tendons reach the point where they are inflamed and produce pain, the condition is referred to as Golfer’s Elbow. Over 200,000 cases of Golfer’s Elbow are reported annually among these (and similar) groups of people. Symptoms are particularly problematic when these movements occur against resistance. In most cases, symptoms are relieved once these treatment measures are taken. The key is choosing the right orthopedic specialist. If you’re suffering from golfer’s elbow, please give us a call to make an appointment. We’ll get you back to work, or on the course, as soon as possible. High Mountain Orthopedics specializes in bone, joint and muscle injuries, including elbow injuries. Dr. William Matarese Dr. Tony Wanich and Dr. Sherwin Su have over 25 years of combined experienced treating orthopedic and sports injuries. Our practice uses a multi-disciplinary approach that includes physical therapy and activity modification. If surgery is necessary, our team utilizes the latest advancements in Minimally Invasive and Arthroscopic procedures to expedite the healing process. If you are suffering from a bone, joint or muscle injury – contact our offices today! We have locations in Wayne, Clifton and Englewood, NJ.